Are you a lender that could help finance this new startup? 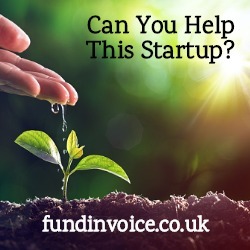 We are trying to raise business finance of £75K (less might still be workable) for a new startup business that is acquiring the licence to operate the business of an existing company (that will no longer trade going forwards). The existing business has operated for several years, and its future trade will be taken over by the new company. Annual turnover should be c. £300K+ of credit card sales (the income stream of the existing business can be evidenced over several years). No property or other assets to secure against. The company is newly formed and income will not commence until after some of the funding has been injected. Personal guarantees from the directors are available.